This is my favorite post so far!!!! Love it! uuu… laurisa is unleashing external blogging 🙂 WATCH OUT WORLD! Glad you did that but…didn’t we decide (@x pm in Berlin…:-)) that we won’t blog about social media 🙂 ? Thought it will be related to your presidential campaign…or maybe you will lead there later…tricky. 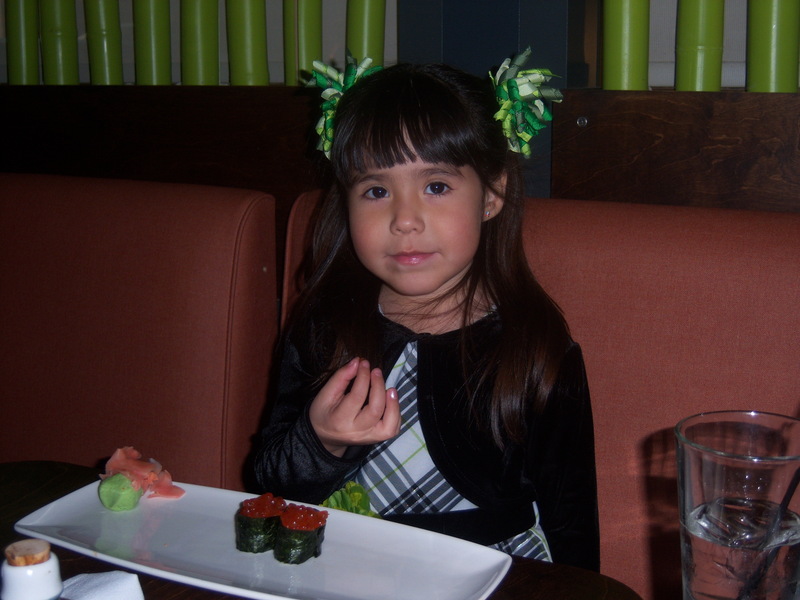 A little Mexican girl is eating a Gunkan Maki sushi/Ikura (salmom roes) in the photo !! Its just reminds me my sister, when my family went a sushibar in Japan and my sister was eating a Gunkan Maki sushi/Ikura back in mid 70s. Now, the world is sushi — sushi—sushi, all over today !!! Already, I feel like to have some sushi tonite !!! Thanks.